AnonD-161004, 03 Jul 2013basically what i expect from a phone isNyc sound , decent camera , better battery and a decent... morewhat do you mean of isync?if you mean sync,i cant comment about that since im not using that feature.sound is good with xloud option.camera is good in outdoor shots and well lighted area,night shot not good even with flash shows exposure of flash in the picture.fluid performance?if you are referring with games,its good with average type of games like nfs,gta 3,temple run,angry birds,dead trigger,nba jam,fruit ninja,etc but dont expect intensive games to work.ui performance good with very little lags,battery great. ray, 03 Jul 2013well it depends on your preference.for me jb is better coz it makes performance smoother.basically what i expect from a phone isNyc sound , decent camera , better battery and a decent ( fluid ) performance ..
AnonD-161004, 03 Jul 2013Thanks .. but is the jelly bean update perfect most of them are giving negative comments .. or... morewell it depends on your preference.for me jb is better coz it makes performance smoother. AnonD-161004, 03 Jul 2013Thanks Ray :D I just wanted to know is there too much lag in JB and how is the battery lyf in... morevery little lags occurs very seldom,normal due to its single core processor.battery is great,can easily survive 2 days of normal use.my j's full charge battery always lasts for 2 days;minimal text,minimal calls,average gaming,mostly internet via data connection. I just wanted to know is there too much lag in JB and how is the battery lyf in JB ?? Is it worth buying ?? shruti, 03 Jul 2013sony xperia j was my worst experience... Ph stopped working in 1 n half month... The people wh... moreWhy friend this mobile not good ah? 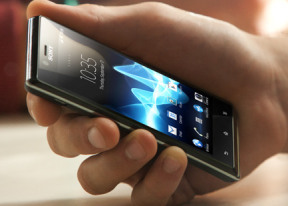 which mobile is best in sony? AnonD-161004, 02 Jul 2013hey Apprentice !! 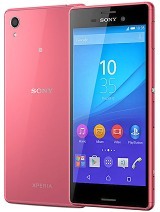 Still is xperia J a good choice worth fr the money ?? and how is the JB ve... moreyes its a good choice.dont mind others who keeps telling negative things about j.by the way jb in j is good,you can really feel google's project butter. does this mobile supports 3.5G? AnonD-161152, 02 Jul 2013cn i buy xperia j or nt?? ?anybdy plz help me outNo . 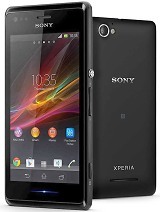 Still is xperia J a good choice worth fr the money ?? and how is the JB version ?? Anonymous, 30 Jun 2013If you want help with the rooting of your xperia j contact me at dtchakradeo7@gmail.com N m... morehow to adjust or to set the battery lifespan so that it can last for how many days . Anonymous, 01 Jul 2013I have this phone since December 2012, i stil like the design (shape,screen, the back, but in ... moreif youre not on call and you stick the screen to your face and it dials,i think its normal since your cheeks is still skin of yours.but if youre on call and you stick the screen into your face and it dials,that was not normal i guess your proximity sensors are not functioning well.